Anton offers to excuse himself if Simon would like to be alone with Miss Dunnwich, but Simon doesn’t know what he is hinting at. Simon is not so dense that he does not notice, after several months, that Miss Dunnwich seems to be showing increasing signs of exasperation towards him. He asks Anton if the assistant has any idea of what could be bothering her? Anton is not sure how to answer that. Due to an unusual contretemps, Simon is split into two. Or he doubles himself. Whatever. The presence of three males and one female in a relationship resolves itself in an unexpected but satisfactory manner for all involved. 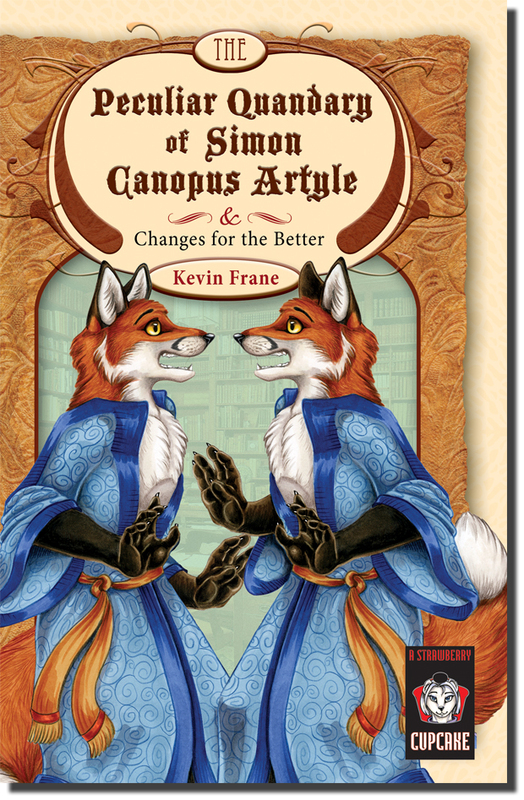 This booklet (FurPlanet’s Cupcake #2) is two separate novelettes. 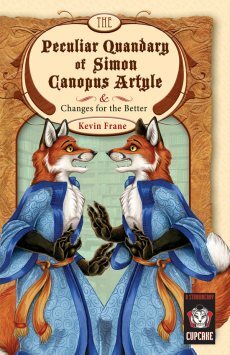 “Changes for the Better” originally appeared in Sofawolf Press’ New Fables #1, July 2007. In this semi-sequel, set many years later and several hundred miles away, the ermine wizard (wizardess?) Vanessa Denebola Franciscan finds herself bored, bored, BORED at being assigned to the northern town of Sagitta, where nothing ever happens and which does not need a wizard. This suits her fine; she enjoys her solitude. So when, after a decade, a chubby, snowcovered raccoon townsman, Matthew Ganwick, visits her with a ridiculous personal request, she hears him only to get rid of him – and then, intrigued, decides to grant his wish. The action and emotion in these two stories is very human, and of a very refined nature. As a comedy of manners, they raise smiles and chuckles rather than outright laughter. But they are unusual for Furry literature, and enjoyable reading. There are enough references to the characters’ furry muzzles, wagging tails, and raised or lowered ears to keep them satisfactorily Furry. I can haz digital version plz?